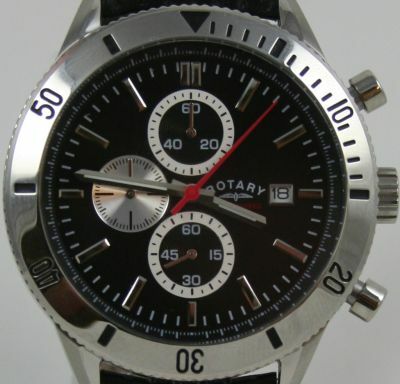 This is a stunning modern Gents Rotary Chronograph, Waterproof watch. 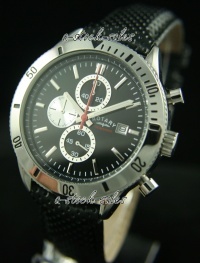 Fitted beautiful 100% Real Leather Strap and Stainless Steel Round Case. Presented in Superb Padded Hard Case. Beautifully detailed - case and 100% genuine leather strap with Stainless Steel clasp. 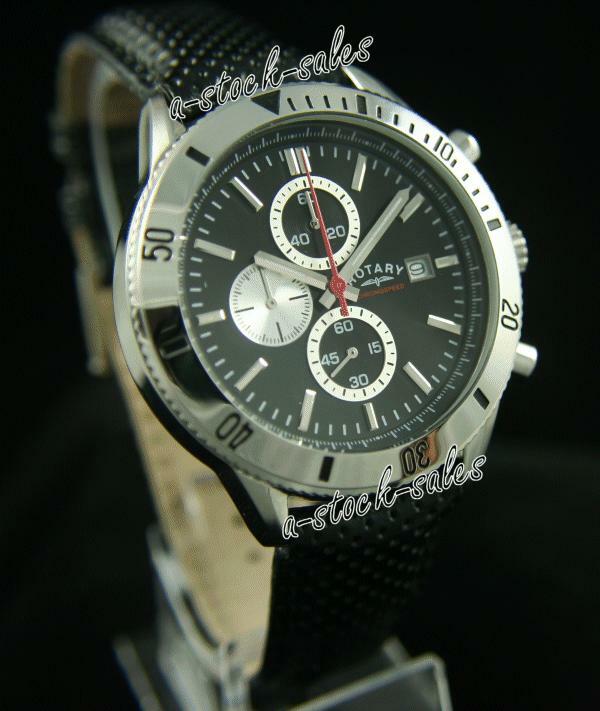 Sports Face -Beautifully detailed chronograph black sports face, very stylish. Will be posted Insured Royal Mail 1st Class as soon as payment is cleared.